Let's see if Photobucket works again, eh? This is the long short story of the probably worst kit I ever bought. 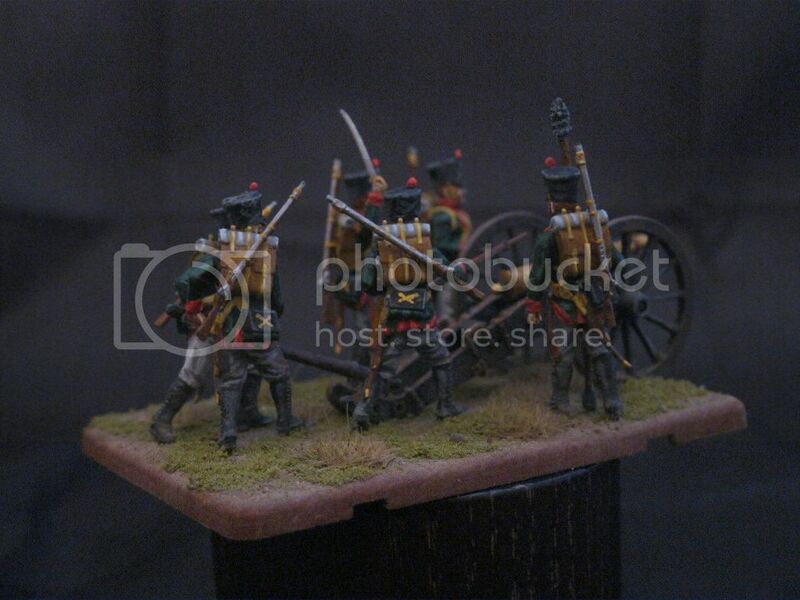 Back at last FIGZ, I held a small box in my hands and decided to give it a try - it was Zvezdas French artillery 1812-14. 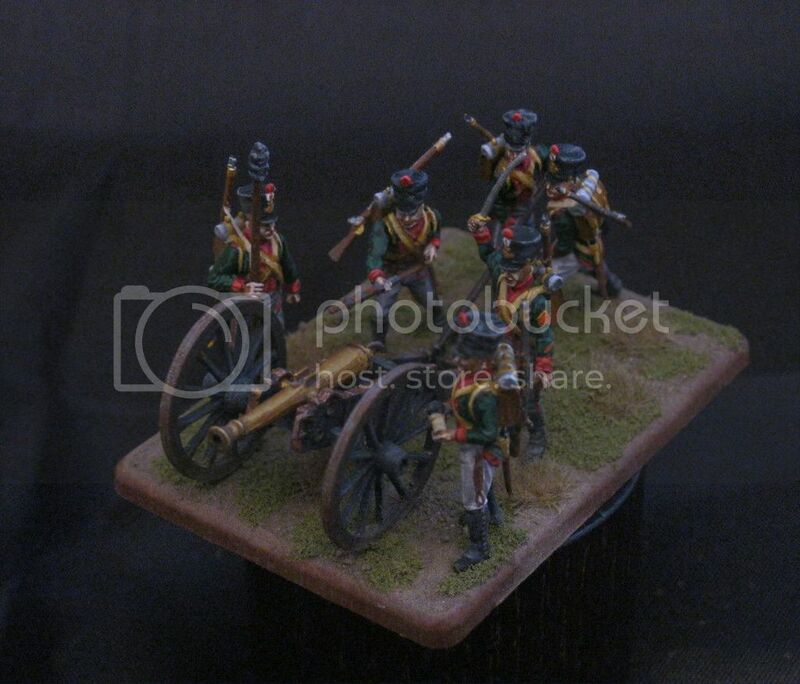 The box contains a gun and six artillerymen and comes for a relatively cheap price (when compared to metal figures). I thought - well, let's make a little Italian gun crew out of it. That was the first error - but it wasn't caused by me, it was caused by Zvezda. The company used the same picture on the box as it used for the 8028 French artillery set. This means you don't get the officer seen on the box - instead you get a NCO as gun commander. But that wasn't the major surprise to me - the boxart suggests French artillery in Pre-Bardin uniforms... and then you have a closer look to the figures and see that they wear the Post-Bardin uniform with closed breast. Which was the part where all my painting plans went over the brink. I should have been warned by the years mentioned on the box, yeah. I fell for the picture. Blame me. No, I didn't want to paint them in French colours. So I went for research and yes, finally I found a unit that wore a uniform similar enough that small differences wouldn't be too much of a problem in that small scale. I took out the stuff and released the figures from sprue. I recognized that all parts fitted together due to pegs and holes. By the first try, I discovered that the parts didn't fit into each other very well. Pegs too long, holes not wide enough... When prepainted, nothing fits anymore. Another layer of paint and... you get the point. Finally, I removed all the pegs. That worked so far with the figures, but not with the cannon. Assembling the cannon was a mere horror. I painted the gun due to my earlier experience that it's hard to reach specific parts of the cannon with a brunch after assembling the whole thing. That was - in case of this kit - an error, because now it was impossible to get the axis through the side parts and the wheels onto the axis. It was necessary to scratch off all the paint and a thin layer of plastic as well. Then the axis lacked stability - getting the wheels onto it without breaking the whole construcion into half was at the end the result of sweating and swearing. Did I mention that gun and crew only matched into the holes in the base-plate after drilling them a little wider? So... was it worth the horrible work? Depends. The figures are of good quality, fine details. But they lack a little bit of soul, if you know what I mean. I made some little changes - musket straps (only on two figures - it didn't work out too well), wrapped-in shakos and so on. However, I don't think I would give these wargaming-artillery sets another go. It's simply too impractical to build. At least, I hope you enjoy the pictures. Really nice unit Mr Zed. The painting is fantastic and there is a real moody atmosphere on display here. Unfortunately that linstock man is going to wipe out most of his unit unless they can jump quickly! What a pain to build! But a very nice finished product, I must say. My experience with the Zvezda wargaming unit kits has been similar, if not identical. @CM Dodson: Thank you! And that's what I thought, too - Zvezda seemed to have cared more about getting as many personnel onto a limited base-size then thinking about gunner security. @Bluefalchion: Thanks! That gives me at least the good feeling that I'm not the only one facing such troubles. Or that I'm simply too stupid for that kind of stuff. fine result. I have these sets from Zvezda as well, but as a collector not yet build but only collected, which worked very well with the small box. . Generally speaking it is very sad, that they did not continue with the high quality bigger Sets, which are standard to me. But after reading your sweaty report I am thinking about trying a build of this set as well. Thanks for the full report. Aside from inaccuracies and issues, result is nicely painted and very interesting work. Well done. Looks good despite the kit´s faults. If the wheels don´t fit..ie; they are too tight..drill out the hole in the hub rather than reduce the size of the axles. The Zvezda pegs bend if not inserted at precisely the correct angle...and once bent, are nigh impossible to reposition. Good job fighting through. It seems some modelers on this forum are flawless, but doubtless we all have trials and tribulations. Here`s the box. The larger boxed sets have the Officer included. Zvezda used the same box art on this one gun set to save money. Yes I agree the gun carriage is very fiddley to put together. Splendid painting,basing and above all written presentation. I think the results were superb, despite all the grief. I have built the earlier set with the limber, caisson etc. - you are right, of course - same box art! That set seemed to go together fine. Thanks for the kind words, friends. 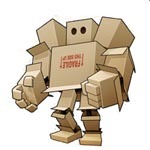 I guess that sooner or later, I'm going to get one of these big boxes. They contain totally different figures - and WOW! these figures look like somewhat like the examples on the box art: http://www.plasticsoldierreview.com/Review.aspx?id=965. Sry - couldn't withstand the joke. And yes, Kekso - you're right. I made some accomodations, knowing that a full correspondence to the intended unit wouldn't be possible, yet only being academical when having such a gun side-by-side with a lot of infantry on a gaming desk. In fact, the result is adequate, not perfect. Do not tell me you did not know the Zvezda Artillery Sets of the Napy time...? I thought they are a must have for you, dealing with this period. Well - knowing that doesn't mean owning them. I also know a lot about Napoleonic cavalry units, but I own very few of it. 90% of my collection is infantry. You can give us all of the written warnings you like but I have to say that your splendid painting is the best advertisment this set could have. The figures and gun look fabulous and it's very nice to see uniforms different to the standard French. That green, red and ochre combination looks really good. You are right Zvezda's big box artillery set is not made in this very hard model plane type plastic but a more normal model soldier type. It's still stiffer than some plastics though and I noticed a few in box breakages of thin parts like portfires and hand spikes. 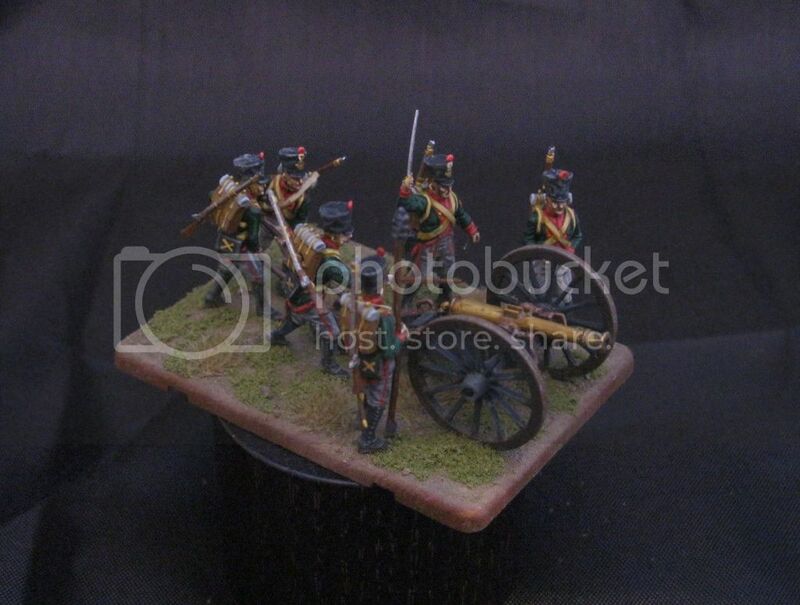 This is, hands down, the best French artillery set in plastic. The figures are great and the guns are beautiful little models but fitting the wheels is a trial. The fit is extremely tight bordering on impossible and force fitting them requires so much pressure there is a risk of bending the whole thing completely out of shape and making the beautiful model look quite ugly. Sanding the axles a bit helps, too bad I found that out after the first one. 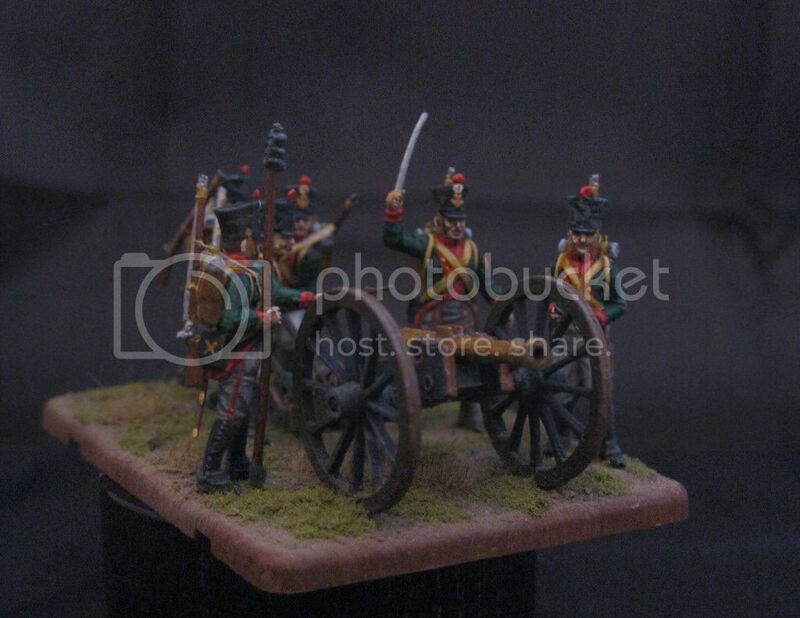 I have some of the French Dragoons from this series, I was quite impressed by the way they snapped together and with the level of detail (better than they looked in pictures I saw before buying them). 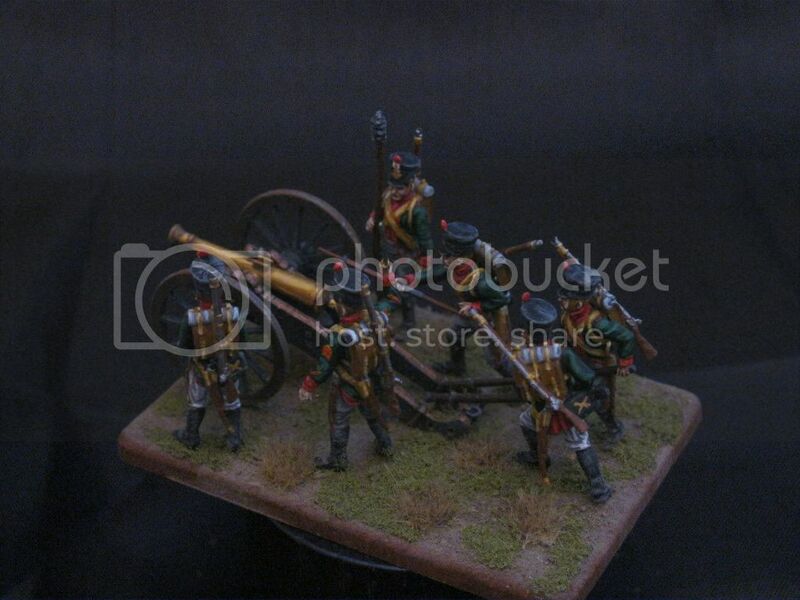 I haven't been tempted to buy this artillery set but they are in Bardin uniform, that's interesting. These gaming piece sets cost $10+ a box here though which is not cheap for what you get.